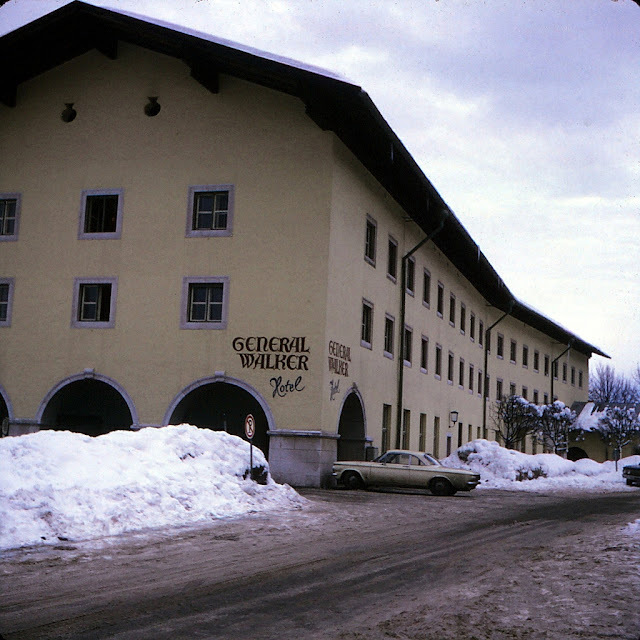 My Mother and I visited The General Walker Hotel in 1972 before the Olympics. It was demolished in 2001 or so and converted to a parking lot for the Eagle's Nest tourists. Having lost my photos from that time I thought I would post whatever I could find for historic purposes. 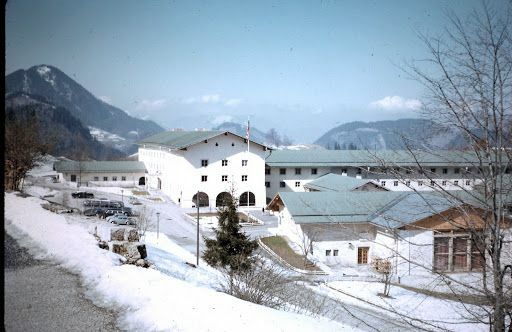 The General Walker was a hotel for US troops after World War II in the mountain (Alpine) retreat of Obersalzberg, Germany. 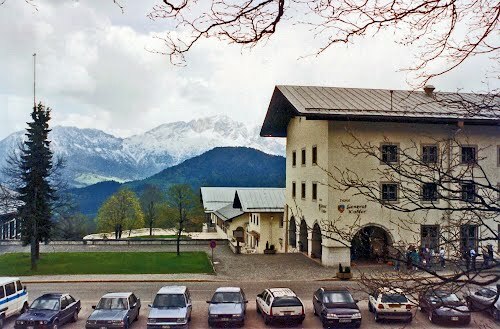 The former Pension Moritz boarding house, boasting opulent accommodations and sweeping views of the Bavarian countryside and Alpine scenery, had been opened in 1878 and renamed Platterhof in 1928. 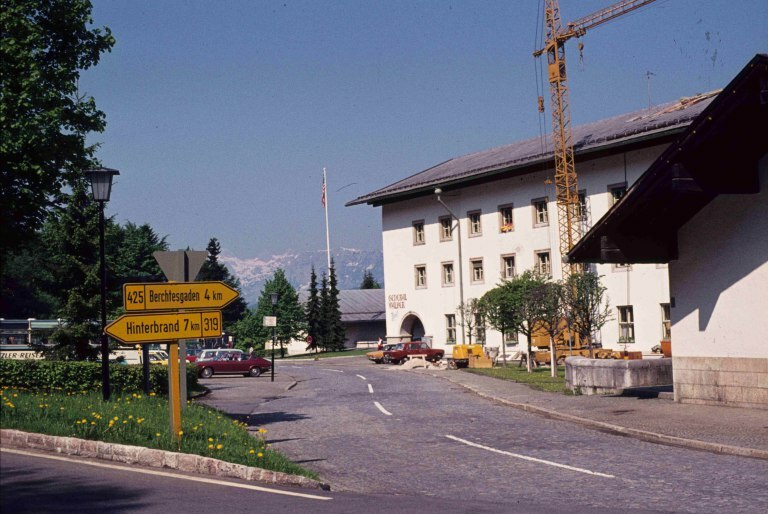 After the Nazi seizure of power, it became a "people's" hostel for visitors to the extended containment area around Hitler's headquarters at the nearby Berghof residence. It was subsequently rebuilt into a luxury hotel for visiting dignitaries and in 1943 was converted into a military hospital. SS guards. Following World War II, the damaged building was restored as a United States Armed Forces Recreation Center (AFRC), and again renamed after US Army General Walton Walker (1889–1950), killed in action in the Korean War. The complex was demolished in 2001. The Platterhof hotel has a long and interesting history ... alas, this history is now over, as most of the buildings were demolished in 2000. 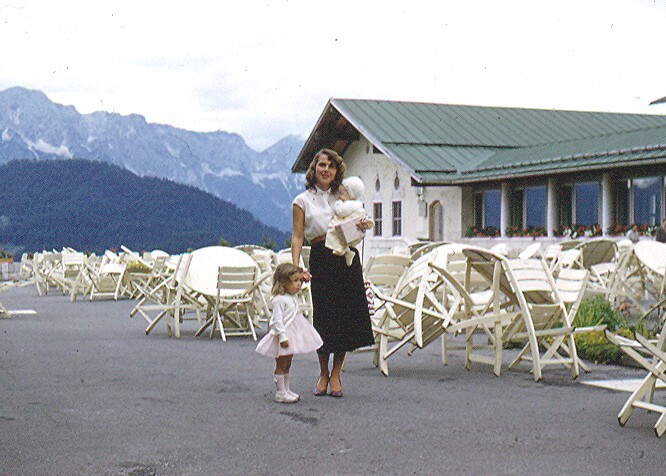 It began as an Obersalzberg estate called the Steinhauslehen. Mauritia "Moritz" Mayer bought it in 1877 and later opened the Pension Moritz. Moritz Mayer enjoyed considerable local fame, and after her death, the pension became known as the "Platterhof," because Moritz was widely assumed to have inspired the character of "Judith Platter" in Richard Voss' novel Zwei Menschen (Two People). In 1923 Adolf Hitler first visited Obersalzberg, where Büchner accommodated the Nazi journalist Dietrich Eckart. Again in Summer 1925 Hitler, released from prison in Landsberg, was a boarder at the Pension Moritz; he and his party fellow Max Amann completed the manuscript of Mein Kampf in a small cabin on the premises. Hitler became a regular guest, from 1928 he rented the nearby Haus Wachenfeld chalet which later was rebuilt as the Berghof. Bruno Büchner acquired the Pension Moritz in 1928 and renamed it Platterhof, inspired by Richard Voss' popular novel Zwei Menschen which had been filmed a few years before. 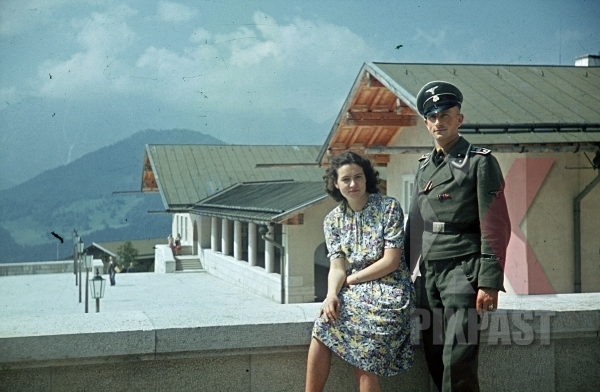 However, when Hitler became Reich Chancellor in January 1933 and his legal secretary Martin Bormann gradually had the Obersalzberg resort turned into a restricted area, Büchner ran into difficulties. He experienced losses due to numerous defamatory statements and intrigues, until his hotel was finally closed by SS personnel and the Nazi Party took possession of the Platterhof on 20 June 1936. Büchner received a small compensation and was forced to leave Obersalzberg. I stayed at the General Walker Hotel back in 1990 for 3-4 days a few months before PCS'ing back to the USA. Awesome area to explore and close to Salzburg, Austria. Too bad they tore it down. I stumbled across your site on accident while telling my students a story about the area related to a historical context.